Induction into the Drum Corps International Hall of Fame is an honor that mostly goes to designers, arrangers and corps directors. Mostly. But not always. This year, a teacher who has been "cleaning feet" for more than 30 years, will enter the Hall to take his place with the icons of drum corps. 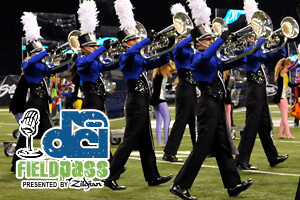 In this week's Field Pass presented by Zildjian, Dan Potter introduces us to a technician's technician, the Blue Devils' Todd Ryan.